Whenever someone in Adventure Bay is in trouble, the Paw Patrol is ready to spring into action! And if someone needs to be rescued from above, the fast and fearless pilot pup Skye is there to give them a lift. 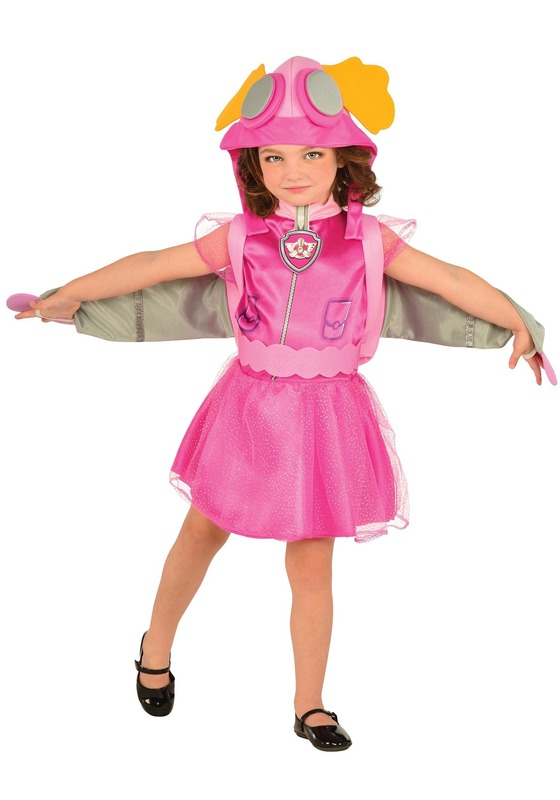 Now your little Paw Patrol fan can dress up in this licensed Paw Patrol Skye Child Costume, and have a blast looking just like her favorite furry hero from the hit Nickelodeon series! Skye is one smart and skilled cockapoo (that's a cocker spaniel and poodle mix, in case you haven't heard that one before), which comes in handy when she takes to the sky in her awesome rescue helicopter. But when she's not out saving the day at the controls of her chopper, or zipping around the clouds with her very own wings that pop out of her "pup-pack", she loves playing games with the other fearless members of the Paw Patrol! Skye is an ace at playing Pup Pup Boogie, and she's always up for a good hug or two! 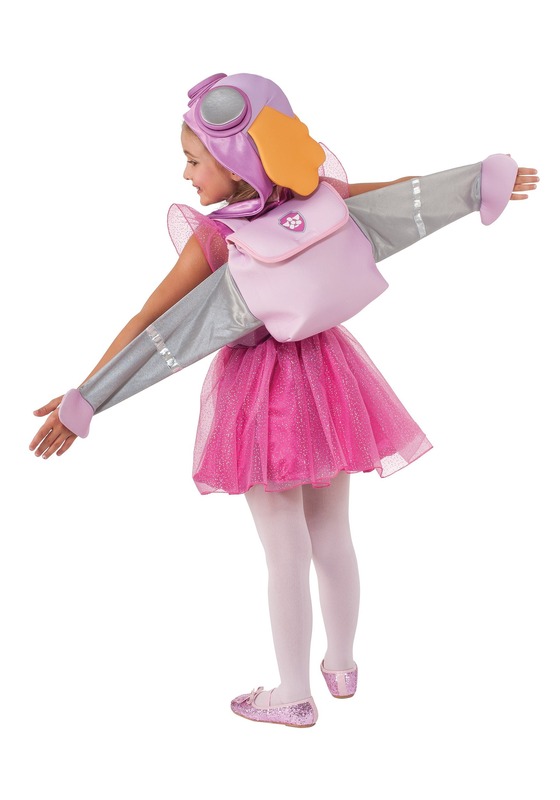 Your little one can get in on the furry fun while she's wearing this costume dress modeled to look like the puppy pilot from the show. The bright pink dress has printed details that match Skye's flight suit, and the included hat features aviator goggles and floppy foam ears. The backpack even has fabric wings to zip around with, so your little adventurer can take to the sky herself with her Paw Patrol pals!